Hi everyone! Hope you had a great weekend! We had temperatures that felt like spring on Saturday! It's hard to believe that it is January. This weekend, we lost my childhood dog. She had a wonderful 13+ years of life. She was the sweetest golden. Dogs come into our lives to teach us about love, they depart to teach us about loss. A new dog never replaces an old dog, it merely expands the heart. This cape-scarf was a Christmas present from my parents. You can wear it as a cape or as a scarf! I love how versatile it is! Ohhh, Jacqueline....I'm so sorry about your puppy. They make us better people and give us so much. So sorry to hear about your loss, dogs just make our worlds better. Love the greys and the fabulous hat! 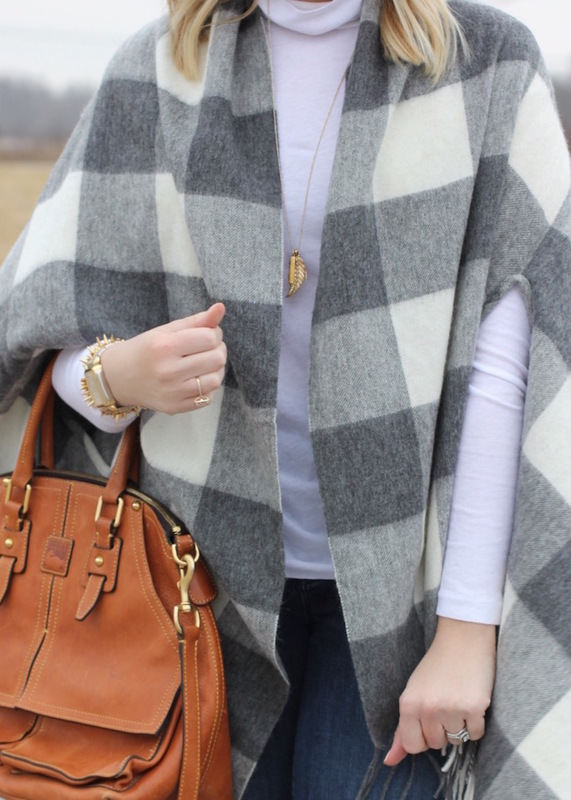 Love that plaid cape-scarf as you said! It looks so cozy and so chic! Amazing! I really love plaid cape, dear. You're so stunning! I am so, so sorry to hear about your dog, lady! Pets definitely become part of the family- and I'm such a crazy dog lady, I can relate to how you're feeling. Sending you good vibes! I feel the same way about my pets! Thanks girl! 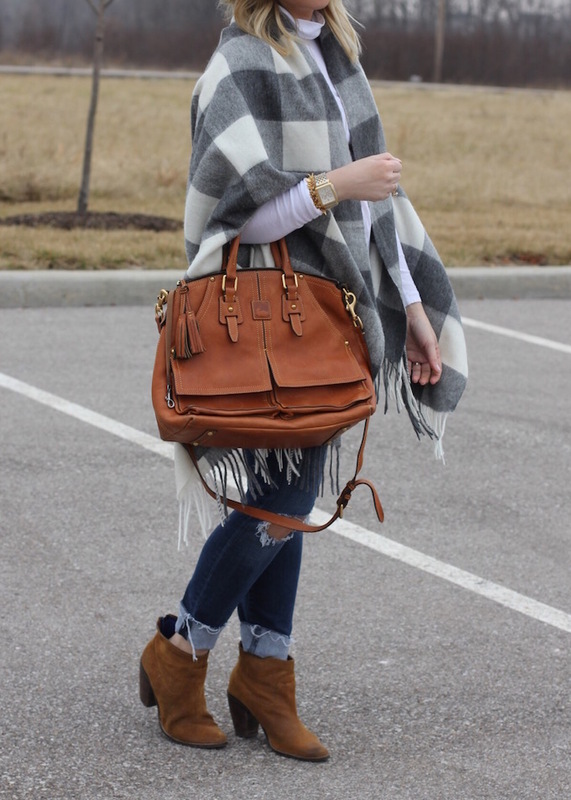 That cape is gorgeous and I love your jeans too. So sorry about your loving dog. Would love for you to linkup with me this week. A brand-new linkup just went live. =) Thanks, Ada.